Lovely place to stay. Everything was really close and fast to reach! 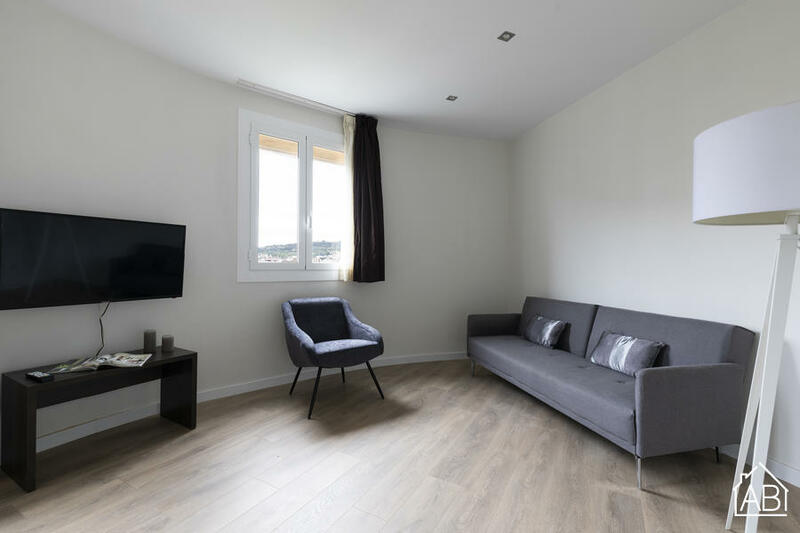 Just minutes from the nearest metro station, this bright and modern three bedroom apartment offers guests a great and well-connected location, and free wifi. It is under a ten minute walk away from the city´s famous Plaza Espanya. The apartment sleeps up to five people across three bedrooms, and has five single beds. There is an open dining and living space, and also a TV. The apartment has a fully-equipped kitchen with a coffee machine, toaster, oven, microwave, blender, and juicer. There is a balcony and one bathroom. Plaza Espanya at the foot of Montjuic is just eight minutes away, and the impressive Arenas shopping centre with over one hundred shops just five minutes from the apartment. The beautiful Parc de Joan Miro is next to the property, home of the artist´s famous ´woman and bird´ sculpture. Eixample is the perfect place to stay for those that want to be well-connected and stay close to some of Barcelona´s best sites and attractions.